A Shepherd's Heart: Child of The Most High God! 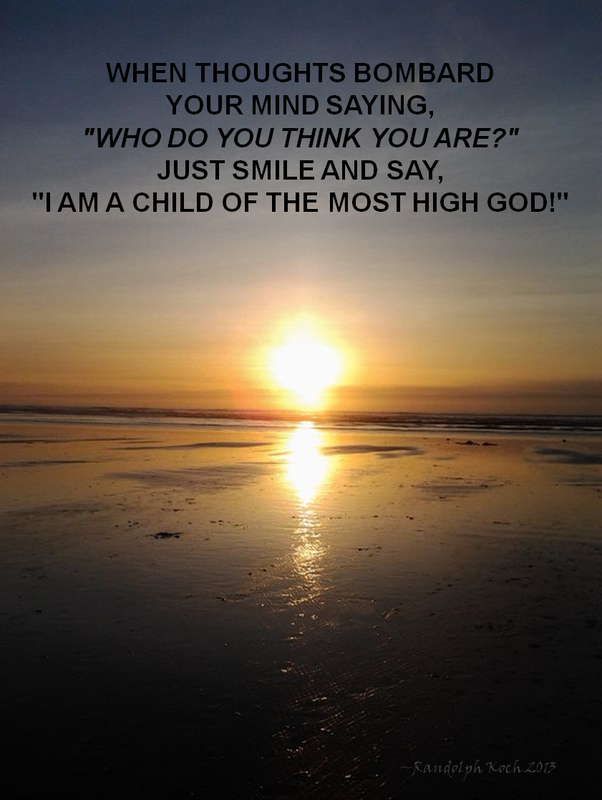 You are a child of the Most High God! Walk in and meditate on this truth today! When thoughts bombard your mind saying, "WHO DO YOU THINK YOU ARE?" Just smile and say, "I am a child of the Most High God!"